WASHINGTON - The White House has dismissed a defiant message from Iran's supreme leader about Donald Trump, saying Ayatollah Ali Khamenei should realize "there is a new president in office." In his daily press briefing Tuesday, White House press secretary Sean Spicer said Trump would not remain idle in response to Iran's "violations, or apparent violations," of its 2015 nuclear deal with the U.S. and five other world powers. He said Trump "will continue to take action as he sees fit. ... [H]e is not going to project what those actions will be, and he will not take anything off the table." Spicer was responding to a question about Khamenei, who earlier in the day made his first public remarks about Trump since the president took office January 20. According to Khamenei's website, he spoke to a gathering of military commanders in Tehran about Trump's recent warning that Iran was "on notice" for carrying out a January 29 missile test that Washington said undermined regional security and put American lives at risk. "[Trump] says, 'You should be afraid of me.' No! The Iranian people will respond to his words on February 10 and will show their stance against such threats," Khamenei said. Iran will mark the anniversary of its 1979 Islamic Revolution on that date. A U.N. Security Council resolution underpinning the Iran nuclear deal urges Tehran to refrain from testing missiles designed to be able to carry nuclear warheads, but imposes no obligation. The White House has said the January 29 missile test was not a direct breach of Iran's nuclear pact with the world powers but violated what it called the "spirit" of that deal. 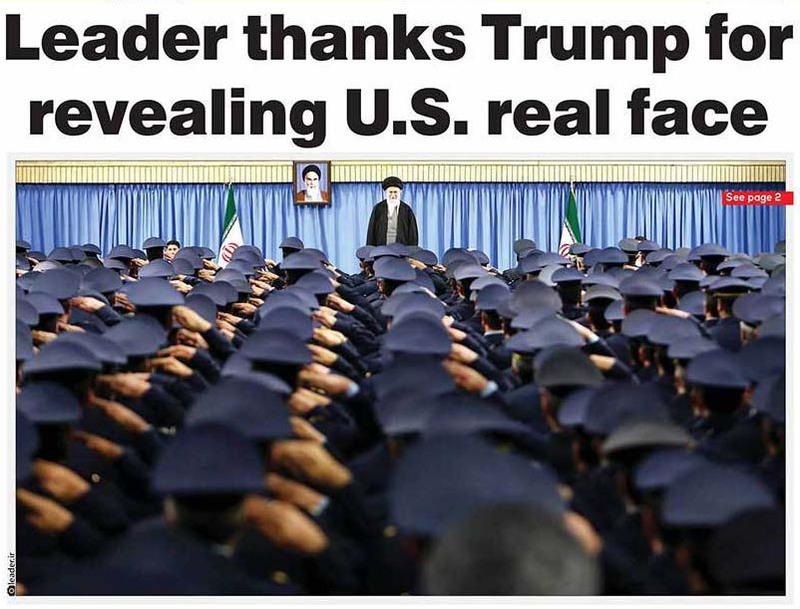 Khamenei also used his speech to thank Trump for exposing what he called the "real face of America." He said Trump's anti-establishment rhetoric during and after the 2016 presidential election campaign "confirmed what we have been saying for more than 30 years about the political, economic, moral and social corruption in the U.S. ruling system." He also said Trump's executive actions, such as a bid to pause immigration to the U.S. from Iran and six other Muslim-majority nations, showed the "reality of American human rights." Spicer suggested Khamenei's gratitude toward Trump was misplaced. 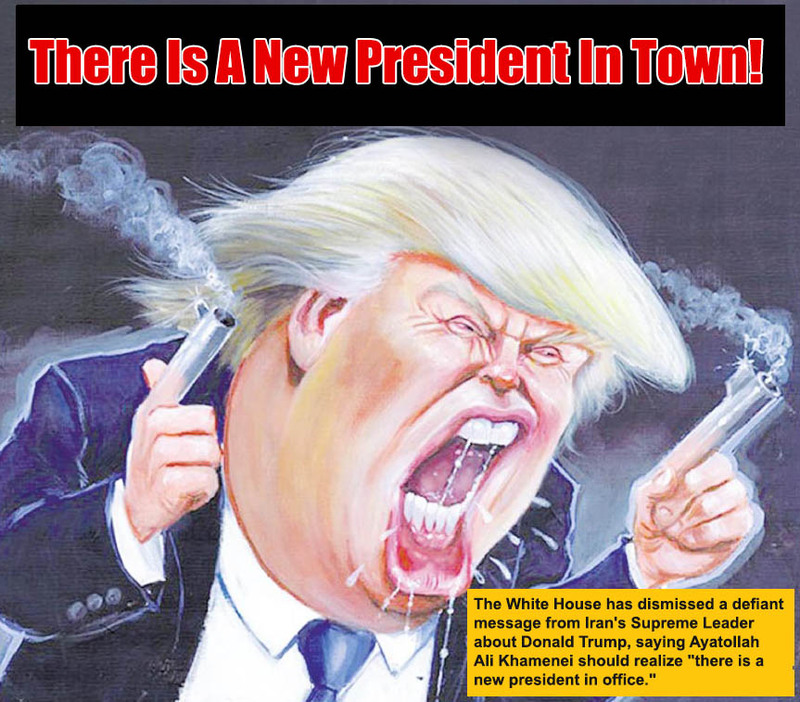 "I think Iran is kidding itself if it does not realize there is a new president in town," he told reporters. Middle East security analyst Ilan Berman of the American Foreign Policy Council told VOA Persian's NewsHour program on Tuesday that the Trump administration's approach toward Iran was very different from that of its predecessor. "Under the Obama administration, Iran had enormous latitude politically and economically in terms of reaping benefits from the nuclear deal," said Berman, who serves as senior vice president of the Washington-based conservative research institute. "Under the Trump White House, it is not known whether the nuclear deal is off the table completely, but it is very clear that the new administration is going to pursue a more confrontational approach [toward implementing it]." Berman based his assessment of the new U.S. policy on what he called the Trump national security team's "remarkable ... commonality of views" about Iran. "From Defense Secretary Jim Mattis to national security adviser Michael Flynn, there is very deep skepticism about Iranian intentions and whether or not it's a good idea to continue the nuclear deal, and there's very deep apprehension about the destabilizing role that Iran can play in the Persian Gulf region," Berman said. "So I think you see a much more realistic view of Iran beginning to take shape." Iranian Foreign Minister Mohammad Javad Zarif has rejected accusations that his nation has acted in a destabilizing manner, posting a tweet last Friday saying: "We will never use our weapons against anyone, except in self-defense. Let us see if any of those who complain can make the same statement." VOA's Persian service contributed to this report.